Welcome to the Miami Police Department’s crime mapping program. Information regarding criminal activity is a valuable tool that residents can use to help protect themselves and their property. 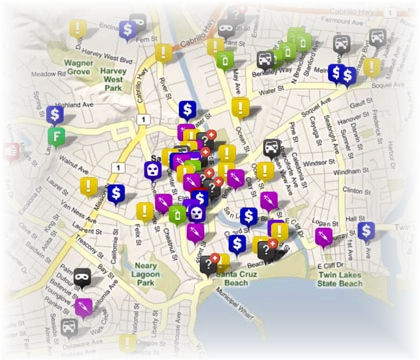 Free for citizens to use, this new crime mapping service empowers the community by putting valuable public safety information at your fingertips. With just a few simple keystrokes, computer users can view individual crimes plotted on a map within a specified date range, sorted by different criminal offense categories. Users also can view crimes occurring in the vicinity of a specific address or plot the distance between a crime and any address of interest.